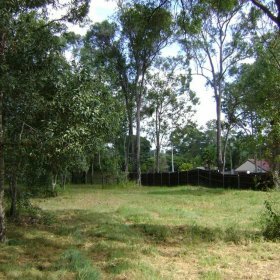 Lambert & Rehbein (SEQ) Pty Ltd was commissioned by Project Services on behalf of the Department of Communities – Disability Services Queensland (DSQ) to conduct a Flora and Fauna Investigation for the site located at 20 Rhoda Street, Loganlea. The project area comprised approximately 1.23ha of partially vegetated land at the northern extent of Rhoda Street. The site is bound by Rhoda Street to the south and partially vegetated residential properties to the north and east. 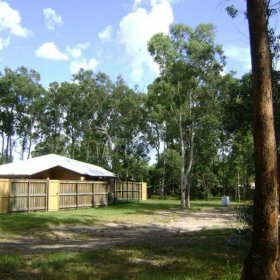 Logan City Council parkland, characterised by remnant bushland, bounds the site to the west. The flora and fauna investigation was compiled as environmental supporting documentation for the development proposed for the site. An existing DSQ facility is located within the central portion of the site. DSQ is proposing to expand the existing facility on the site. Project Services proposed a development layout for the site which comprised three (3) houses with multiple assisted living spaces and ancillary spaces in each. Further, courtyards, public areas and lawns have also been included in the design. As the site currently comprised some cut and filling of the natural surface, some additional bulk earth works, including associated retaining walls, will be required to accommodate the proposed expansion to the existing facility. The proposed disturbance footprint, approximately 4220m2, incorporates the majority of the eastern third of the site. 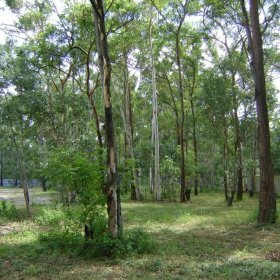 Notably, the site comprises canopy vegetation which has been mapped by DERM as remnant vegetation. Implications to the proposed development by this vegetation were discussed in the report. A bushfire assessment of the site was also conducted, evaluating the risk of a bushfire from the vegetation in surrounding properties.